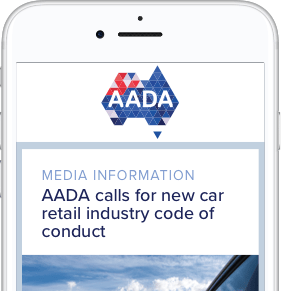 On 4 September 2018, AADA members were advised of the New Car Fact Sheet developed by the Australian Competition and Consumer Commission (ACCC). The purpose of the fact sheet is to assist new car buyers to understand their consumer guarantee rights under the Australian Consumer Law. It is the expectation of the ACCC that as a matter of industry best practice, a copy of the fact sheet should be provided by suppliers of new cars to every consumer at the point of sale as part of the “deal jacket” or other written materials provided to consumers at the time of purchase. The ACCC have now provided clarification regarding the types of purchaser the new car fact sheet should be supplied with, irrespective of vehicle type. Products or services costing more than $40,000, which are of a kind ordinarily acquired for personal, domestic or household purposes (such as the family car). As certain purchasers of commercial and heavy vehicles will, depending on their use of the vehicle, be consumers for the purposes of the ACL, the ACCC advises that the fact sheet should be included for these purchasers.